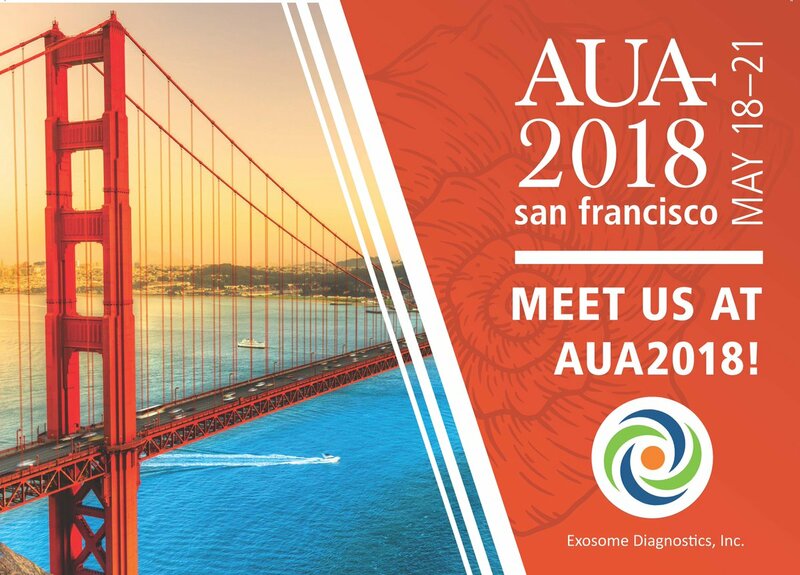 Exosome Diagnostics’ novel urine-based prostate cancer liquid biopsy biomarker test, ExoDx™ Prostate(IntelliScore) or EPI, was selected from among 3,000 abstracts for presentation at the Press Sessions during the American Urological Association (AUA) annual meeting. This elite group of abstracts undergoes a rigorous review and selection process to ensure the abstract is not only newsworthy, but also scientifically sound and ready for presentation to the general public. The study findings in over 500 men were to be presented by the study’s Lead Investigator, James McKiernan, MD, John K. Lattimer Professor and Chair, Department of Urology at New York-Presbyterian Hospital/Columbia University, during the AUA’s Press Session on Friday May 18, 2018. EPI is designed to reduce the number of unnecessary initial prostate biopsies in men 50 years of age or older, with a PSA (Prostate Specific Antigen) value between 2-10 ng/ml. The PSA blood test lacks specificity as a screening test for prostate cancer and does not discriminate between high- and low-grade cancer. The EPI urine liquid biopsy genomic test has been previously validated (JAMA Oncology 2016) as a “follow-on” test after PSA that identifies men at high risk of high-grade aggressive prostate cancer on prostate biopsy. This second prospective Validation Study, two years later, confirms the diagnostic value of the test in a contemporary population. Up to 2 million prostate biopsies are performed annually in the United States and Europe, and it is estimated that more than 75 percent of these biopsies are unnecessary because the patient has benign or low-grade/indolent prostate cancer. Use of the EPI test reduces the number of these unnecessary biopsies. 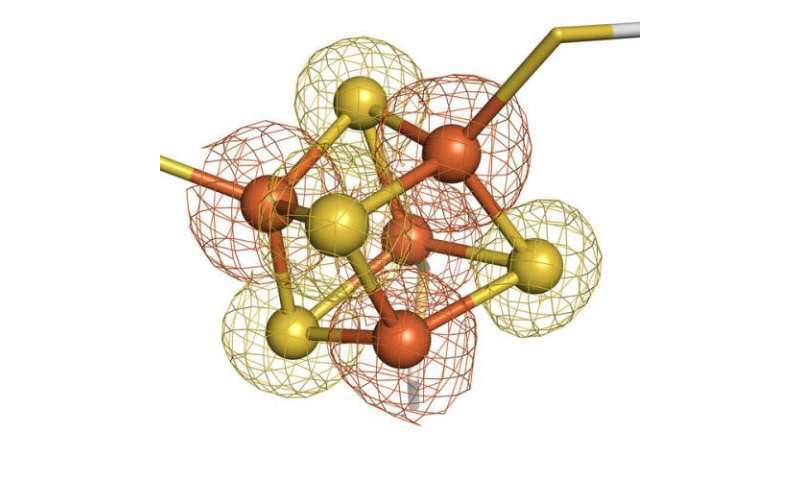 Many important proteins in the human body need iron-sulfur clusters, tiny structures made of iron and sulfur atoms, in order to function correctly. Researchers at the National Cancer Institute (NCI), the National Institutes of Health (NIH), and the University of Kentucky have discovered that disruptions in the construction of iron-sulfur clusters can lead to the buildup of fat droplets in certain cells. These findings, which were published in the May 25, 2018 issue of the Journal of Biological Chemistry, provide clues about the biochemical causes of conditions like nonalcoholic fatty liver disease and clear cell renal carcinoma. The article, which was an Editor’s Pick of the May 25 issue, is titled “Acute loss of Iron–Sulfur Clusters Results in Metabolic Reprogramming and Generation of Lipid Droplets in Mammalian Cells.” "Iron-sulfur clusters are delicate and susceptible to damage within the cell," said Daniel Crooks, PhD, the postdoctoral fellow who led the new study. "For this reason, the cells in our body are constantly building new iron-sulfur clusters." Dr. Crooks began studying the enzymes that build iron-sulfur clusters during his graduate studies in Dr. Tracey Rouault's lab at the Eunice Kennedy Shriver National Institute of Child Health and Human Development of the NIH. Mutations in one of these enzymes can cause ISCU (i.e., iron-sulfur cluster assembly enzyme deficiency) myopathy, a hereditary condition in which patients, despite seeming strong and healthy, cannot exercise for more than a short time without feeling pain and weakness. Therefore, it was clear to Dr. Crooks that lifelong deficiency of iron-sulfur clusters caused profound changes in how cells processed energy. But he wondered exactly what happened in a cell in the first moments after something went wrong with iron-sulfur cluster production.